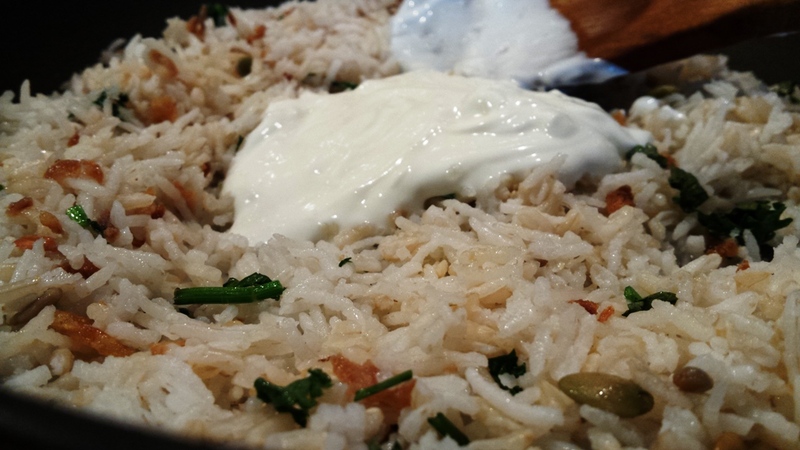 In just few minutes you can have Yogurt Rice with mixed seeds and crispy fried onion to enjoy. This is a very flash, quick and easy dish both healthy and refreshing quick midweek meal. 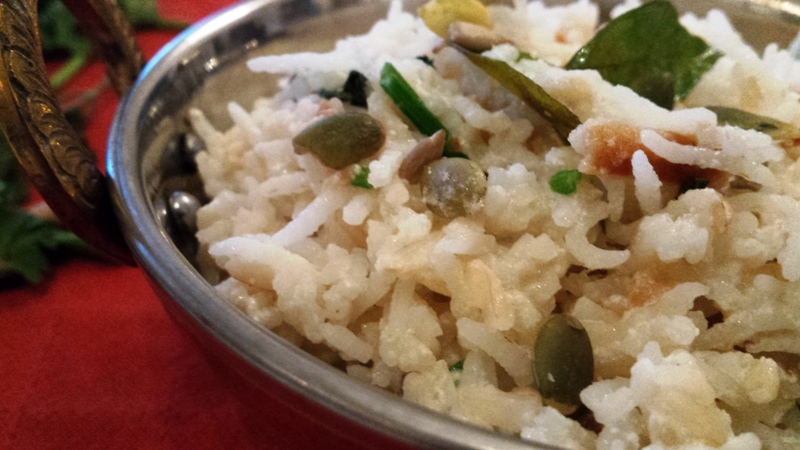 You can have this rice with a tangy chilli tomato chutney or grilled meat or fish. There are many versions of curd rice some with mustard seeds, Nigella seeds, Mung dhal etc but I wanted mine simple and since I had a good mixture of healthy seeds in the cupboard I decide to use them – and they taste awesome with the soft rice giving that extra nutty bite. Heat the oil in a pan; add the sliced onion followed by the seeds. As they start to spits and fry add the curry leaves. Add the cooked rice, season with salt. Pour the yoghurt and mix well, leave to slowly warm turning occasionally to prevent sticking to the pan and thorough warming through (about 4-6 minutes). Turn heat off, sprinkle with the fresh chopped coriander and serve.